The economic development practice emphasizes bringing practical, real-world executable strategies to helping municipalities and counties achieve economic growth. This is done by utilizing the deep and varied experience of our practitioners to create effective strategies. 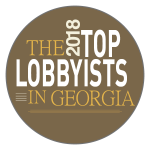 These experiences include leadership of a major chamber of commerce, oversight of national-level economic development agency legislative affairs offices, and high-level engagement with Georgia state government. We know the challenges that exist with the development of communities and regions. Those challenges exist around daily operations, real estate concerns including eminent domain, public finance, safety, ethics, and the ongoing ability to sustain and expand in order to improve citizens’ quality of life. The economic development practice is also closely integrated with the government strategies practice. This allows us to utilize the relationships we have throughout federal, state and local governments to enhance our services and ensure that relevant policy analysis is always effectively applied. Our economic development plan approach is broken into four separate phases: pre-planning, needs assessment, economic development strategic plan, and implementation. This approach will require continuous feedback, viewpoints, and evaluation from community and business constituents, and state and regional agencies as the economic plan develops. Additionally, we team with our parent company, Taylor English Duma LLP, to provide comprehensive legal services. Taylor English is comprised of more than 150 attorneys including 40 former in-house counsel. This perspective brings a day-to-day practicality that is unique in a law firm. Whether you may need real estate, setting up development authorities, eminent domain, financing, environmental, tax, construction, general litigation or contract negotiation our attorneys can provide assistance. Eventually, all major economic development programs require a significant amount of legal work. One of our differentiators from other government affairs firms is the ability to link our clients to needed legal support of any kind without multiple contracts or a new set of individuals in a new company.